I forgot to post a picture yesterday of the goodies I brought to work! 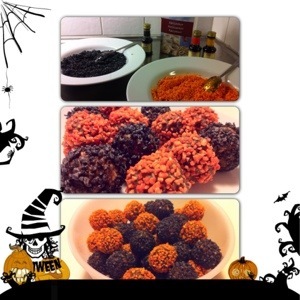 I made the chocolate balls I mentioned the other day and used food color to make the pearl sugar black and orange. Couldn’t find a orange color though so I hade to make it myself by mixing red and yellow bottles.